Burning Rice by Eileen Chong. Australian Poetry Limited, 2012. It is this connection between the present and the memory of a culturally disparate past, that lies at the centre of the best poems in this connection. 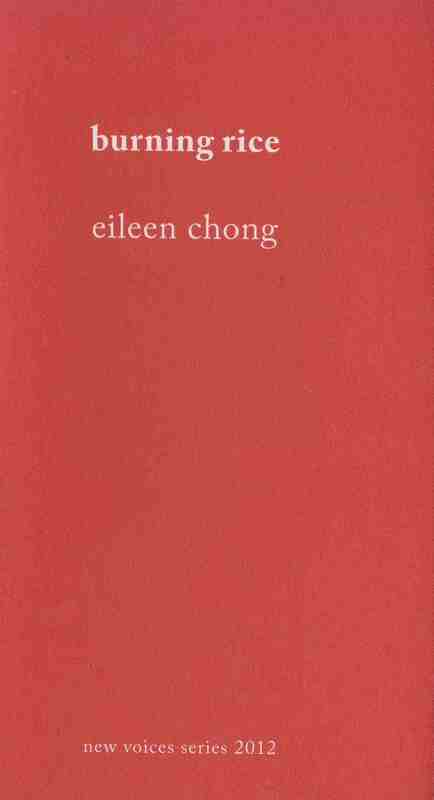 For Chong the connection is often difficult, stretched across time, place and culture – but for the most part she manages to maintain and celebrate the richness of this difference. against her glasses and her belly strains with me. even as I caress the outline of its carcass……. The fish has become the link with the past, the ‘carcass’ of a memory, perhaps the earliest physical link the poet has with her family. The ‘”sweet flesh” another layer of memory that the poem has added on top of the original photographs. My father, dark-haired and pale-bodied, cradles me. her foot pedals out a rhythm. Only Great Grandmother remains, the only reason the family returns to visit until she dies alone “in the upstairs room”. There is a measured grief to this poem, a bitter-sweet memory of an old house, in another country, another culture. It is also a poem where a major break occurs. This is where generations of her family lived, the poem traces the richness of this memory, but also of the break – the great grandmother is left in the old place while the rest of the family swarm like bees trying to find a new home. The funeral that concludes the poem accounces the end – and sugests a new beginning. There is sense in many of the poems in this collection of the poet making a statement – these are my memories, this is my history, this is my poetry. It is strong statement, well made. Chong’s poetry is vividly descriptive, at times her languageborders on prose and indeed there is one fine prose poem, ‘My Father’s Lesson’, in the collection. It is, perhaps, the long descriptive lines of these poems, heavy with a sensuous imagery, which helps makes this such an impressive debut. It will be interesting to see how her work develops.